Natural Sources Of Omega 3 Fatty Acids! Omega 3 fatty acids are the biggest selling supplement these days and why not? They have many interesting and important health benefits. Omega 3 fatty acids are essential for your body, but your body does not produce them. Your body can receive them only through proper nutrition. What is omega 3? It is an unsaturated fatty acid that has anti-inflammatory action in the body. It has also been found that this acid helps reduce the risk of heart and blood vessels diseases, as well as reduces depression. Both omega-3 and omega-6 fatty acids are necessary for us. They are not produced in the body and we need to consume them through food sources. There are many benefits of this healthy fatty acids. They have a role in cell membranes of the body and they also affect metabolic and biochemical processes. Studies have shown that these fatty acids are very important for the body. Omega 3 fatty acid is important for a healthy heart and brain. It reduces the risks involved in pregnancy. It decreases the cholesterol level thereby reducing the risk of heart attack. 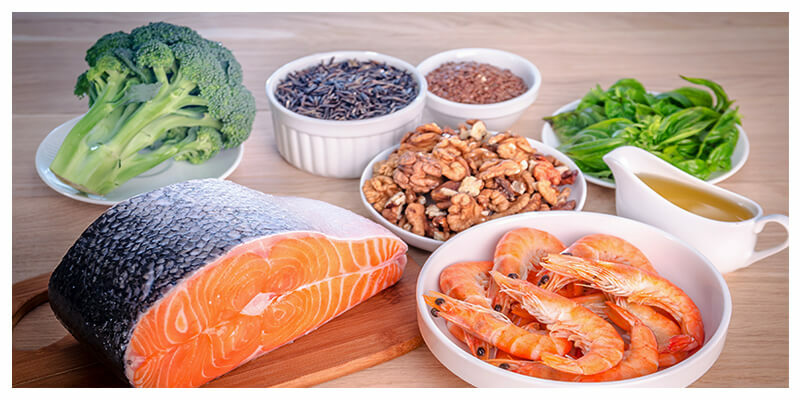 The natural sources of this healthy fatty acids are seafood, such as halibut, herring, mackerel, oysters, salmon, sardines, trout, tuna and cod and green leafy vegetables such as kale, parsley, mint, Brussels sprouts, spinach, watercress and ground flax seed omega-3 fatty acids. Chia seeds and quinoa are also a good source of omega 3. Pumpkin seeds are a rich source of omega 3 fatty acids. These seeds reduce the risk of cancer especially prostate cancer in males. It is rich in omega 3 fatty acids which alleviate joint inflammation and pain. It works same as that of the anti-inflammatory drugs. They are tasty and nutritious too. Flax seeds are rich in omega 3 fatty acids, protein, vitamin B1 and important minerals such as zinc, magnesium and copper. They also prevent heart diseases, lowers cholesterol levels, helps in weight loss and relieves menstrual pain. They are also a rich source of omega 3 fatty acids, antioxidants and vitamin E. Walnuts remove all the deposited plaque from the arteries and prevent the risk of stroke and heart attack. Walnut oil also has the same properties and is a good home remedy for healthy joints. They are rich in antioxidants, vitamin B6, E and omega 3 fatty acids. They increase the memory power and decrease bad chosterol level. Therefore, you must eat a handful of almonds daily to prevent heart problems and increase mental concentration. 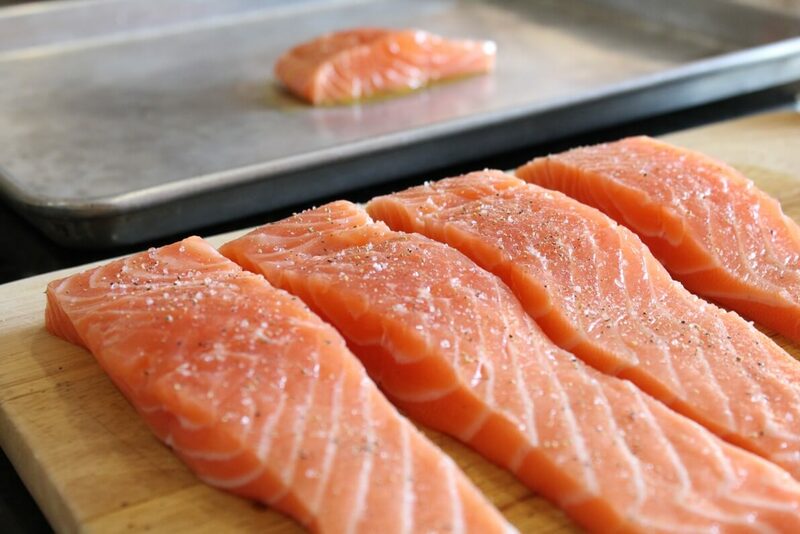 Fatty cold water fish like salmon, tuna and trout are rich in omega 3 fatty acids. They protect your heart and improve brain power. You must have foods that are rich in omega 3 fatty acids. Our body needs these essential fatty acids as they can’t be synthesized by our body. Omega 3 fatty acids are needed for brain health, better eyesight, arthritis treatment. This acid also relieves stress, anxiety, and depression. Your body needs these fatty acids to prevent heart attack and stroke. People having a migraine and weak memory can also benefit from omega 3 fatty acids. Next Read: Are eggs good for you? Know the truth behind egg nutrition!